There is a saying in the autism community, "If you have met one person with autism, you have met one person with autism." While each of our children are unique individuals with unique struggles and equally unique talents, many moms find themselves facing the same struggles with not many who can relate. Some of our moms have been courageous enough to share their stories as sources of hope and inspiration, so other moms know they are not alone. Jill Briesch is a regular featured writer for Autism Speaks. She is a tax accountant from Dallas, TX who has two sons with autism. She and her family are also the DFW Node ambassador family for the Autism BrainNet Initiative. 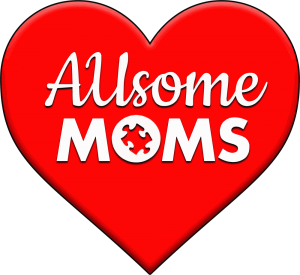 AUsome Moms does not endorse every idea or viewpoint of our bloggers. But as AUsome Moms, we support each other and our journeys.